Please note that all these units are now supplied with front and rear panels in blue sparkle finish. 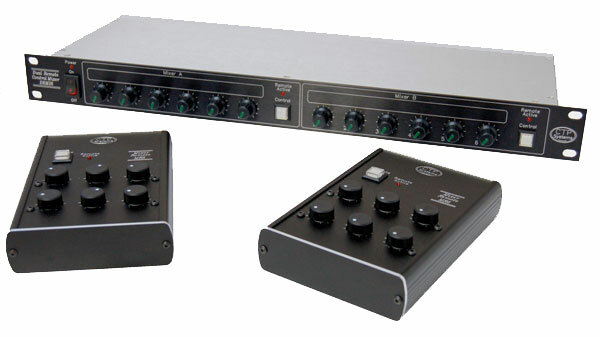 The QRM46 is a 2RU rackmount unit with four 6:1 VCA mixers which may be controlled either locally or remotely using the supplied remote control. The QRM46 includes switchable limiters on each mixer output with limit LED indicators and OLED bargraph displays with PPM style ballistics. Each mixer has up to 12dB of gain. A press button on each mixer channel switches that mixer to remote mode with LED indication when the remote control is active. 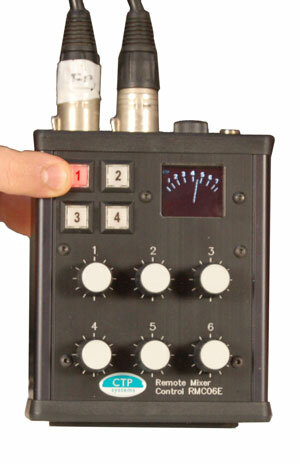 The remote control has our OLED PPM 'analogue' style meter with headphone monitoring. 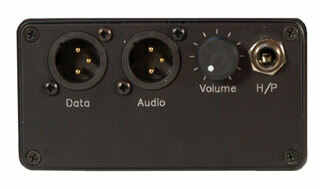 The one unit can remotely control all four mixers using only two XLR connections, one for data and one for monitoring. If remote monitoring and metering are not required then the unit will operate with only one XLR. Distance between the remote and base unit may be well in excess of 400 metres with reasonable quality cable. A mix may be setup in the truck then handed over to the remote for local tweaking. Battery power in the remote is only used when levels are being adjusted to ensure a long battery life. When the remote control is not required it leaves four useful six into one locally controlled mixers in the truck. The DRM26 is a 1RU rackmount unit with two 6:1 VCA mixers which may be controlled either locally or remotely using the two supplied remote controls. A typical application is remote mixing of radio talkback. The 1RU unit is mounted in the truck and connected to the radio talkback transmitter. In the studio the presenter or floor manager can adjust his mix remotely but without losing the freedom of radio talkback. 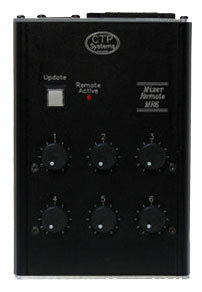 Switch over between remote and local mix control is available on the main mixer unit. The control button will illuminate red when in remote control mode. Each mixer has its own control button. When the mix is being adjusted on the remote the 'Remote Active' LED on the mixer illuminates. Useful for checking the system during the rig. To operate the remote simply press the update button while adjusting the mix levels (or after adjusting the mix levels). Battery power is only used while the update button is pressed to ensure long battery life. When data is sent to the mixer the remote active LED will illuminate, but only if the data is being received. Connection between the remote and the mixer unit is just one standard 3 pin XLR. Data transfer distance is in excess of 400 metres with reasonable cable. All mixer audio inputs, outputs and data connections are XLR. AC Supply = 230Vac 50Hz.